As Muslims who accomplished this year’s annual Hajj pilgrimage are returning home, Saudi Arabia revealed that it arrested 54 terror suspects between September 3 and 11 and that most of them are Saudi nationals. The circumstances surrounding the arrests are yet to be made public. 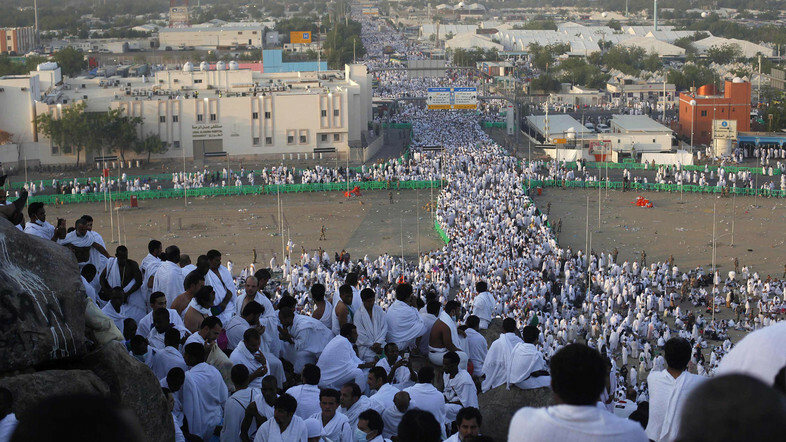 Security was significantly tightened ahead of the Hajj ritual. Colonel Saad Al-Dosari said the security teams were continuously monitoring the pilgrims and informed the operations center of any suspicious activity “to prevent any problem before it happens.” Saudi Arabia welcomed 1.8 million pilgrims this year. The suspected terrorists hailed from Bahrain, Brunei, Iraq, Pakistan, Saudi, Sudan and Yemen. The foreign country with the most suspects is Bahrain with 13 individuals, followed by Yemen with 4 and Pakistan with 3. It is unclear if the suspects are linked to extremist groups active in the Middle East such as Islamic State and Al-Qaeda. 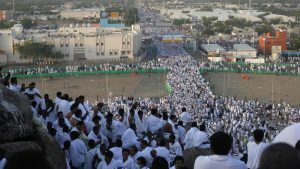 Riyadh was heavily criticized last year, especially by Iran, after hundreds of pilgrims were crushed to death in a stampede at Mina. To avoid a similar scenario, Dosari explained that the command and control center in Mina operated on a fulltime basis surveying “the screens to detect any problem or any blockage” that could be caused by the flow of pilgrims. More than 5,000 cameras were installed in the entire Makkah sector covering a radius of around 10 kilometers around its Grand Mosque. From this vantage point, directives could be given to investigate any suspicious-looking or potentially dangerous activity. As the Hajj has come to an end, the Kingdom has announced the beginning of the Umrah (minor Pilgrimage) season. Posted by Jaber Ali on Sep 19 2016. Filed under Gulf News, Headlines. You can follow any responses to this entry through the RSS 2.0. Both comments and pings are currently closed.